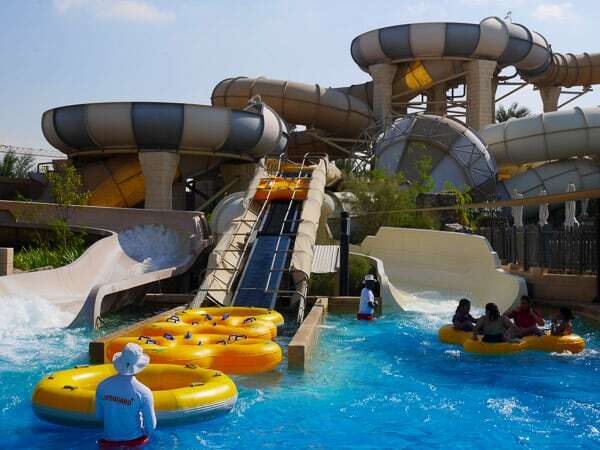 One of the absolute highlights of our recent stopover in Dubai was visiting the Wild Wadi Water Park. 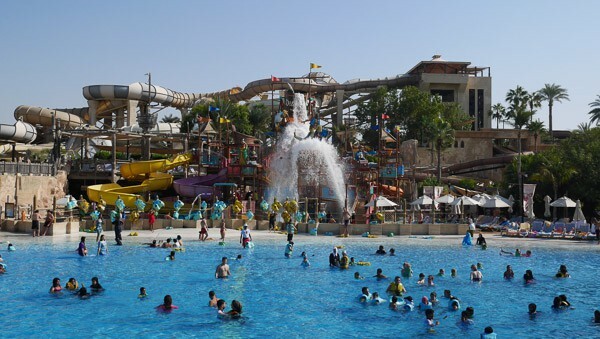 This is one of several water parks in Dubai, and I think the best known. It is right alongside the hotel we stayed in, the Jumeirah Beach Hotel and is owned by the same group. Hotel residents can use the water park at any time and have their own private entrance. 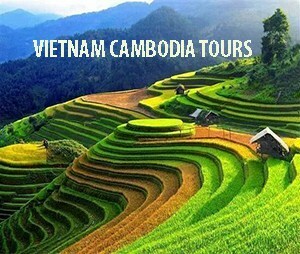 As you can imagine, we went a few times! 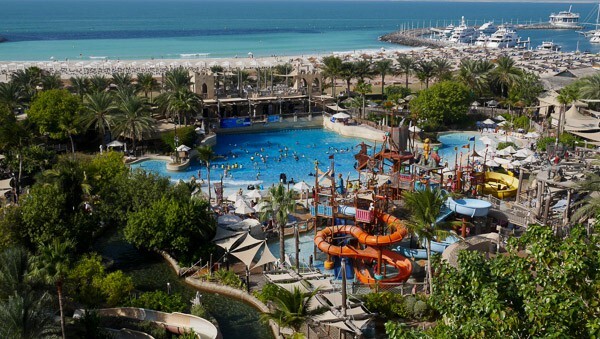 There were areas to suit all my children, the teens who are 16 and 14 loved the death defying drop of the Jumeirah Sceirah, we all liked the riding the inflatables down Tantrum Alley, the twins who are seven loved the Juha’s Dhow and Lagoon with its water playground, and the huge wave pool too. 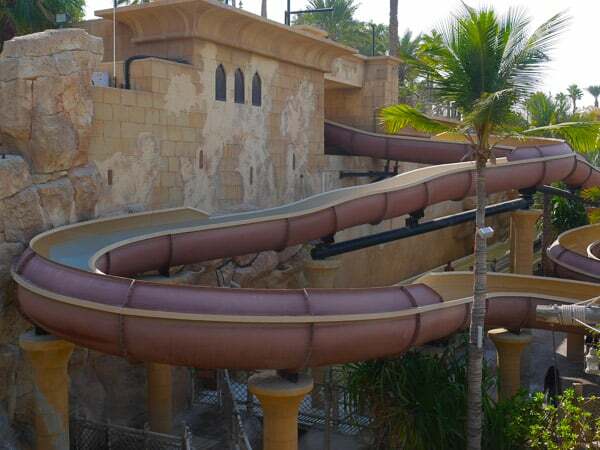 It was fun to bob along the slow current of the lazy river called Juha’s Journey on our rubber rings and the aquatic roller coaster that is Master Blaster was good fun too. 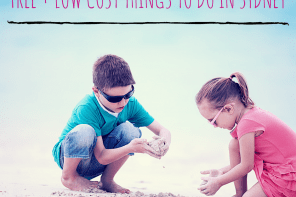 So was sitting in a deck chair eating an ice cream and reading a book whilst the kids whizzed around. The Jumeirah Sceirah starts from those tallest towers. I left that to the teens. 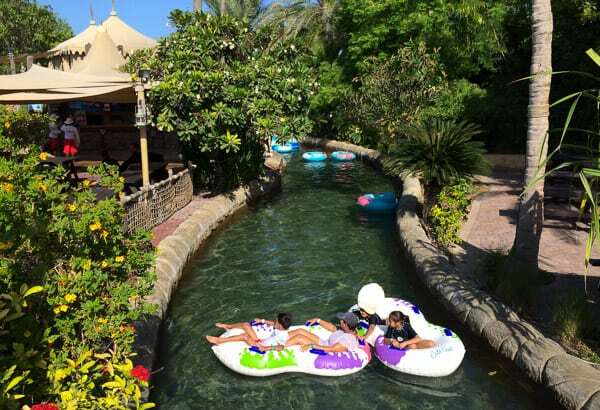 This lazy river is more my scene… the twins and I went on this 360m round trip many times. I was impressed by the number of life guards on duty. 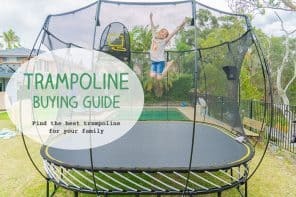 They were very much on the ball and I had great faith that my kids would be alright as they, at times, dashed here and there on their own. The waves pool is huge and very warm and pleasant. Younger children are given life jackets to wear there. My twins were given them. Tantrum Alley is a fantastic huge and twisty ride in inflatables. We visited Dubai in December which is winter time, the temperature was a very pleasant 23 – 26 degrees C during the day. This is said to be the best time of year to visit Dubai as the weather is so much more clement than during the scorching summer. Another plus was that Wild Wadi wasn’t very busy and we never had to queue for more than a minute or two. BIG plus. Friends who live in Dubai say they come to Wild Wadi when it’s hot, and the hardest thing is walking around as the ground fries your feet. It’s very pleasant to play in the water when the temperature is in the 40’s, they say. I bet. 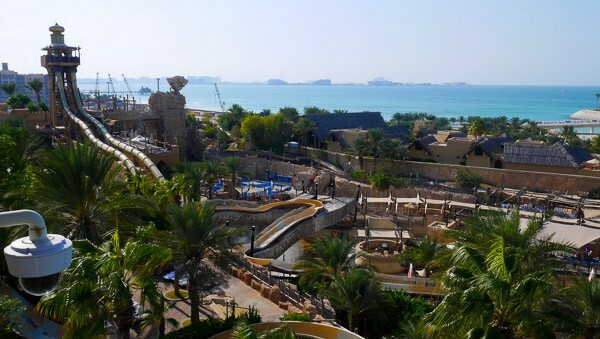 View across the wave pool to Juma’s Dhow and Lagoon, the younger children’s water play area. Perhaps my very favourite part of the park was the stunning view from the top of the tower where Tantrum Alley starts. 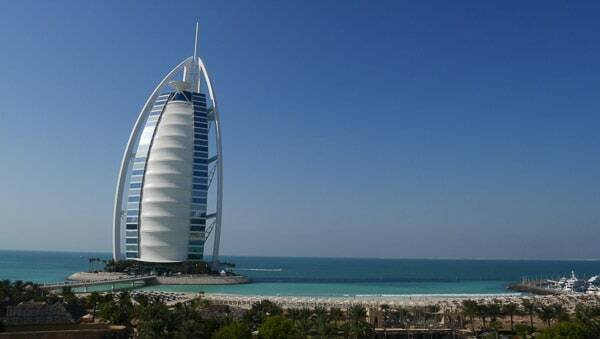 To the left the amazing building the Burj Al Arab. Straight ahead the wave pool and Juma’s Dhow area. To the right the marina and the huge wave shaped Jumeirah Beach Hotel where we were staying. We’ve always loved a water slide or two. 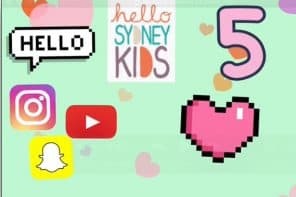 Check out my list of all Sydney’s water slides here. This water park was a real highlight of our four days in Dubai. I feel pretty confident we’ll be back there one day, sooner or later. Hope you are travelling well. 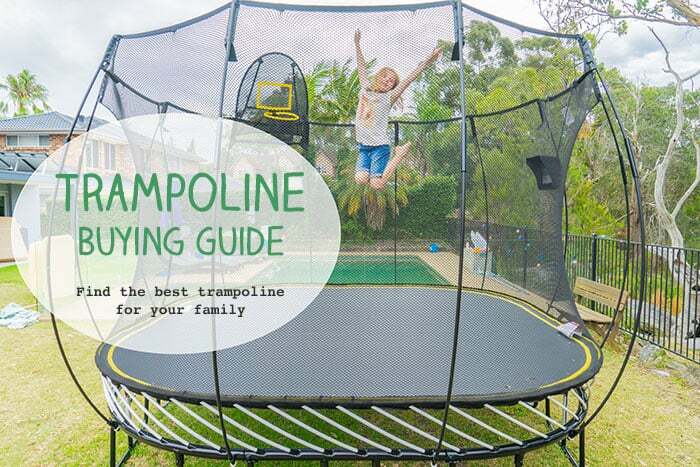 Linking up with Travel Photo Thursday at Budget Travellers Sandbox – thaks for hosting, Nancie. Happy New Year all! This place would be paradise for my husband who LOVES the water and water slides, etc. Jumeirah Sceirah would be just his thing. 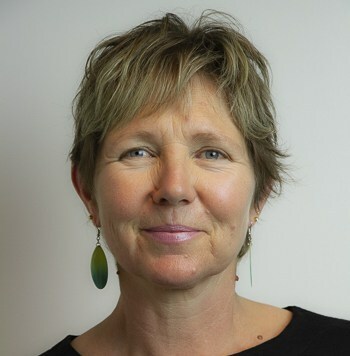 Me? I like the looks of the wave pool. Can’t wait to visit Dubai sometime. 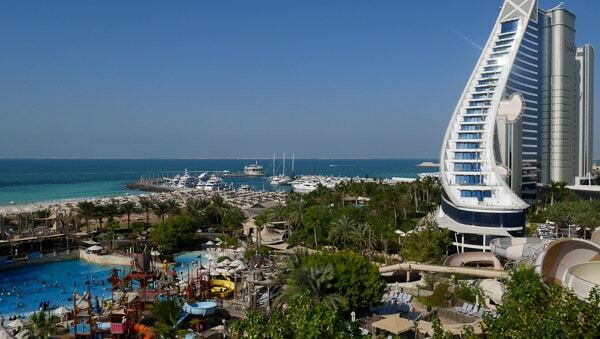 Jumeirah Beach Hotel must be an amazing place to stay, to. Wow! 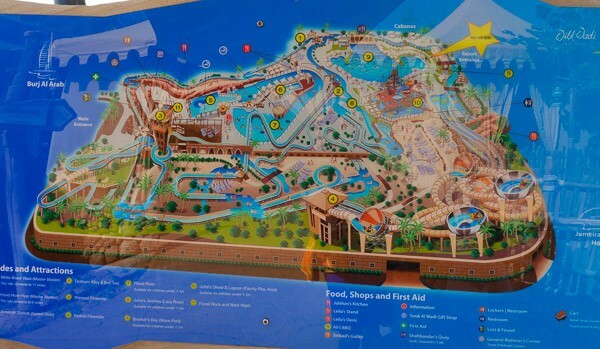 I never realised Dubai had a water park. It looks fantastic. Unfortunately I don’t think overseas travel is on the agenda at the moment for us. We are also a family of water slide lovers – we all love them (myself included). 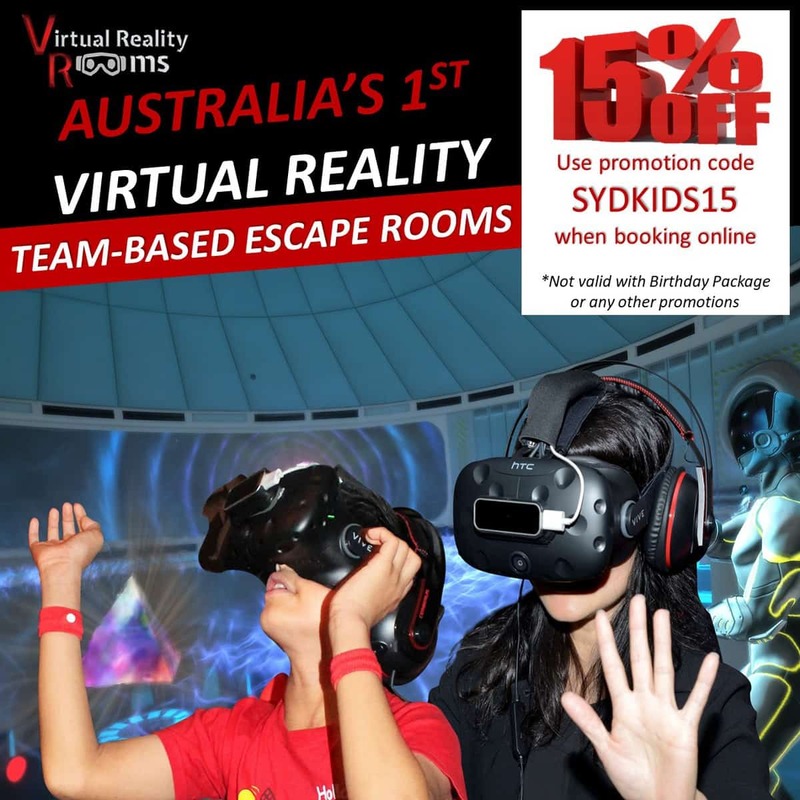 But we all hate crowds, so we are patiently waiting for the crowds to die down at Sydney’s new Wet n Wild. Which should give us time to save up for the entry fee! 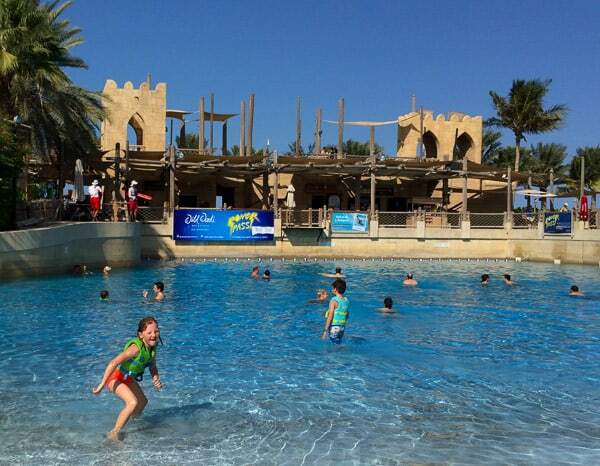 Thank you so much for visiting Wild Wadi during your visit to Dubai! 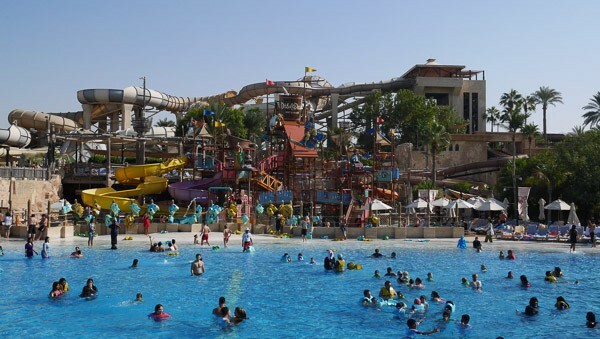 We appreciate your kind feedback and are very happy to hear you and your family had a great time in the waterpark. We look forward to welcoming you again to Wild Wadi!